The latest HMRC R&D tax credit statistics re-assert the value of these vital tax incentives to innovative companies. The statistics also begin to demonstrate some new trends – as well as continuing some others from previous years which will be encouraging to SMEs and large companies alike. There is a growing awareness and uptake of the R&D tax credit incentives, and the average claim value continues to rise. For SMEs, the average claim value for 2016-17 is £53,876. The number of SMEs making a claim has more than doubled since 2013-14. 75% of SMEs are making a claim worth less than £50,000. The average RDEC claim for 2016-17 is worth £272,881. A massive 5,900 RDEC claims were submitted in 2016-17, representing a 185% increase since its introduction. 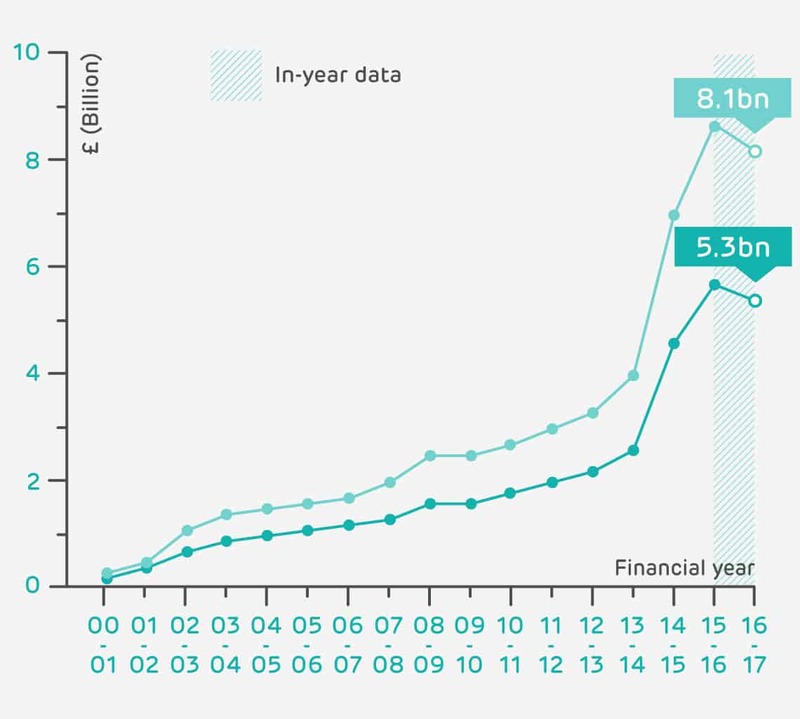 This is further shown by the fact there are now more SMEs claiming via RDEC than there are large companies. It is important to note that the statistics for 2016-17 are not yet complete. This is because returns for this period can still be submitted past the publication date. As a result we expect this data to be revised next year, and so the following figures should be viewed as provisional. *Based on £2.35 R&D expenditure stimulated for every £1 tax foregone. † And an average STEM salary of £38,000. A total of £3.5 billion was claimed in R&D tax credits by innovative UK businesses in 2016-17. Based on analysis carried out by HMRC, this £3.5 billion could go on to stimulate up to £8.2 billion of additional investment in R&D. At ForrestBrown, we advise thousands of businesses each year and many of them tell us that they use the R&D tax credit benefit that they receive to hire new staff and grow their business. If a STEM employee is paid on average £38,000, this additional £8.2 billion could fund 215,789 new STEM jobs. Do R&D tax credits represent value for money for the government? The government has put innovation at the heart of its Industrial Strategy as a means to transform the UK economy and as one solution to the UK’s productivity problems. But how does investing in R&D tax credits help? In a working paper, Evaluation of Research and Development Tax Credit, HMRC reviewed the impact of R&D tax credits on investment made by UK businesses. They estimate that for every £1 awarded to innovative businesses via R&D tax credits, between £1.53 and £2.35 is stimulated in R&D expenditure. The chart below shows the cost of support claimed from 2000-01 to 2016-17 and the additional investment in R&D that could have been stimulated as a result. Additional expenditure is stimulated because businesses often spend the R&D tax credit benefit they receive on funding the next big push in their R&D work. This can involve hiring new skilled staff, expanding their premises, or investing in new machinery. The UK economy benefits from this increased productivity as a result. Total tax receipts for 2016-17 were £575 billion. This means the £3.5 billion spent by the government on R&D tax credits is equivalent to just 0.6% of the total amount of money collected by HMRC. In our opinion, this represents good value for money, especially considering how much R&D tax credits are worth in terms of additional R&D expenditure stimulated: £8.2 billion. More and more SMEs are making an R&D tax credit claim. So, how do the sectors stack up for 2016-17? What counts as R&D in this sector? And where are those businesses based? Regional allocation is based on the postcode of the company's registered address, which might not correspond to where R&D takes place. For SMEs, the average claim value has continued to increase year-on-year, albeit slowly. For the most recent period (2016-17), the average claim value is now £53,876. At this time last year, HMRC’s report showed that the average claim value for 2015-16 was as high as £61,514. But this has now been revised down significantly to £47,664. If a similar trend continues next year, we could see this year’s average claim value revised down to around £42,000 – putting a halt to the otherwise rising trend. 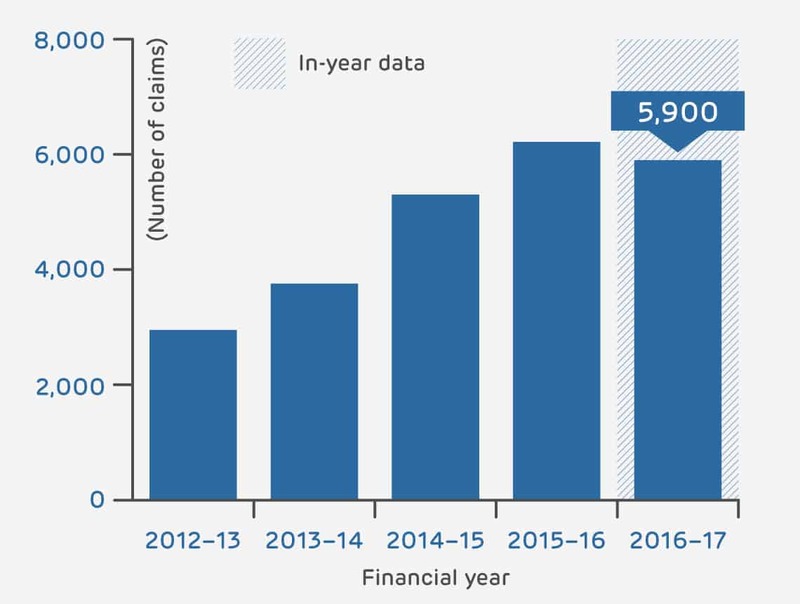 With HMRC revising the data for the two previous years, we now see a huge leap in the number of claims made between 2013-14 (15,585) and 2016-17 (34,060). The number of SMEs accessing R&D tax credits has doubled. This shows that awareness of the incentives has improved – and the fact that more SMEs are benefitting from the incentives than was previously reported is good news not only for these innovative companies, but also for the economy. With significantly more SMEs making claims, and the average claim value increasing slowly, we can conclude that there a lot of businesses making relatively low-value claims. 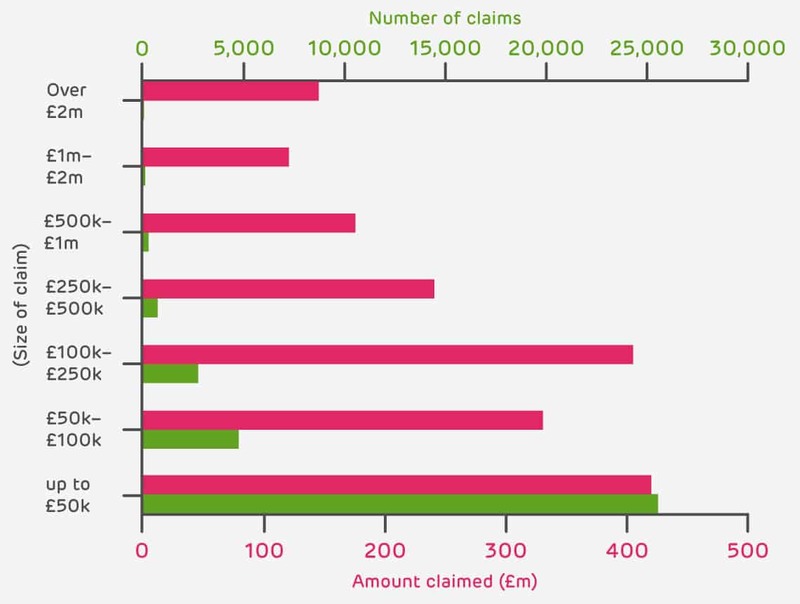 In fact, 75% of SMEs made a claim for less than £50,000. This is because the value of their claim represents how much they themselves have invested in their R&D. Smaller businesses are often focused on headcount growth; they often have fewer resources to commit to innovation in their early stages. Here at ForrestBrown, we recommend that all businesses take a proactive approach and review their claim each year to ensure its value is maximized and is an accurate representation of their investment in R&D – incorporating the full extent of their qualifying activities and costs. As a business grows and its financial situation continues to evolve, we would expect a claim to regularly change in value. RDEC was introduced relatively recently (in 2013-14). 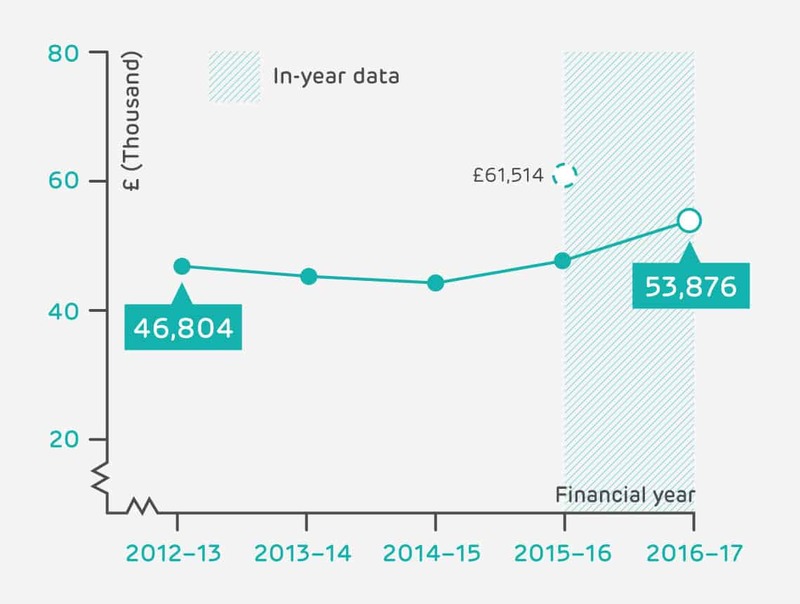 Since then, the average RDEC claim size has increased incrementally year-on-year, according to the restated data for 2014-15 (£306,604) and 2015-16 (£309,735). 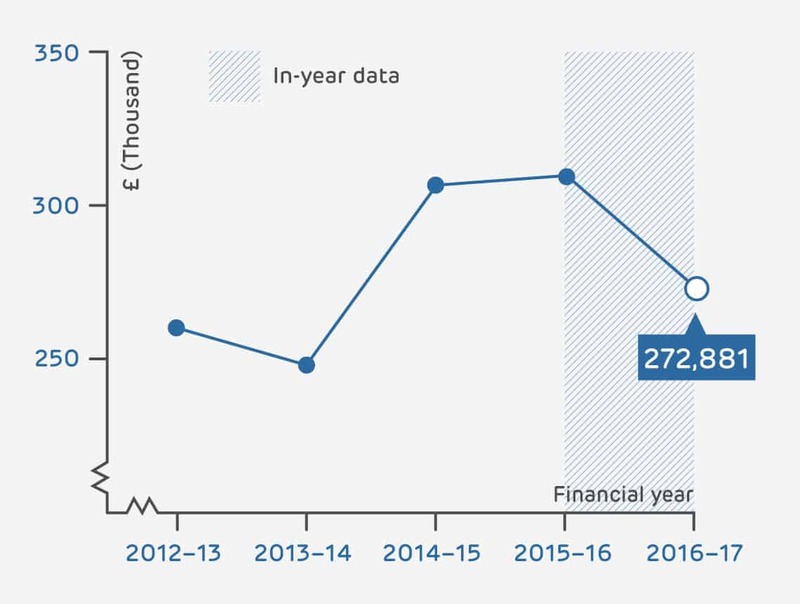 For the current year, HMRC report a decrease in the average claim size, to £272,881 (down 12%). As with the SME data, we expect that to change when the 2016-17 dataset is completed, so the decrease could be yet more significant. This is potentially due to the mix of RDEC claims – with many more being made by SMEs than in previous periods. RDEC replaced the old large company incentive, and was specifically targeted at larger businesses; however, it has proved really popular with SMEs. SMEs are excluded from claiming SME R&D tax credits if their R&D is grant-funded, or subcontracted to them – but they can usually claim RDEC for this expenditure instead. Typically more concerned with cash flow than larger businesses, the payable credit offered under RDEC allows these SMEs to claim a cash payment, albeit at a lower rate than the SME R&D tax credit offers. 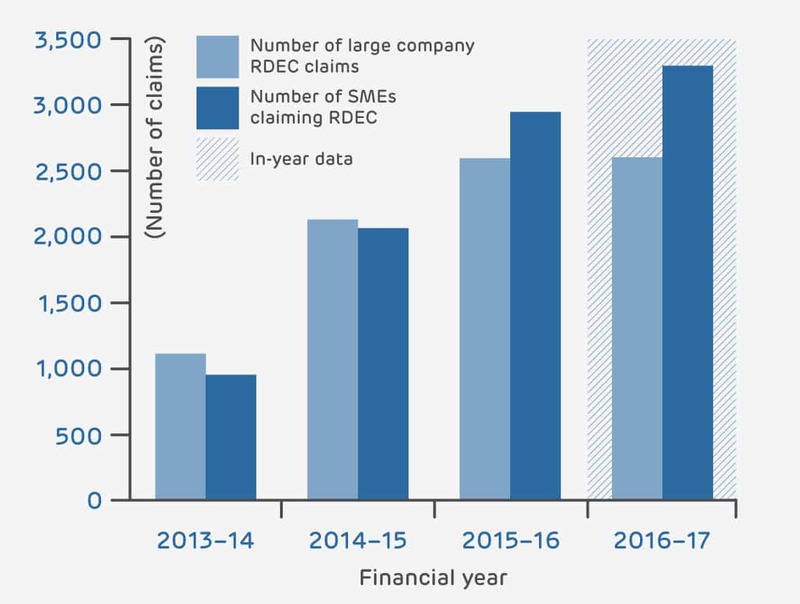 Since it was introduced, the number of SME RDEC claims has more than tripled, to 3,300. These SME RDEC claims generate a similar average claim value to the SME R&D tax credit claims (£51,515 under RDEC versus £53,876 under SME R&D tax credit). RDEC was a popular incentive when it was introduced, with around 2,000 companies using it in its first year. 2016-17 is the first year of published data since the previous large-company incentive (which RDEC replaced) was abolished: 5,900 RDEC claims were made for this period. That’s a huge 185% increase compared to its first year. And it shows that making a major change to the relief-mechanism for large-workforce, high-turnover companies has incentivized many companies to make a claim. Last year, we commented on the need for an awareness-raising initiatives to help more innovative businesses access the R&D tax incentives. And HMRC’s R&D tax credit statistics 2018 show that progress in this area is being made. The revision of the 2014-15 and 2015-16 figures shows a much larger number of SMEs are claiming R&D tax credits than was originally thought. These revisions alone represent £1.3 billion in relief, which could have already stimulated £3.1 billion in additional R&D investment. 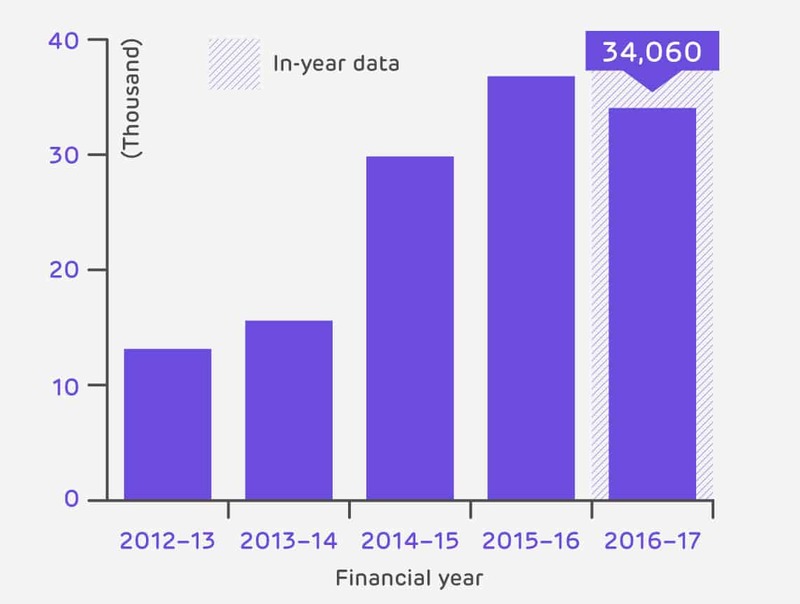 We know that HMRC has been working hard to ensure that more innovative businesses can access the relief they are due, and it is brilliant to see this reflected in the statistics. Most businesses don’t make an R&D tax credit claim just once. But at ForrestBrown, we regularly take on new clients that are already making claims where we are able to deliver additional value. We do this by activities and costs that others have overlooked. We understand that a business evolves as it grows; and this means its qualifying activities and costs will also change to reflect these various evolutions. Our unique combination of in-house technical firepower and award-winning claims process means we are able to deliver claims that are fully maximized, and protected from risk. We have seen first-hand how carelessness in the preparation of your R&D tax credit claim, or simply treating it as a box-ticking exercise can be costly: this is when vital extra value can be easily missed. At ForrestBrown, it is our mission to educate innovative UK businesses and their advisers about the fantastic benefits of using R&D tax incentives. For peace of mind, we offer a completely free-of-charge claim review of either your client’s or your own R&D tax credit claim. One of our chartered tax advisers will assess whether this has potential for a claim uplift, as well as checking to identify any potential risks. Drop us a line and we’ll get in touch with you within 24 hours.